Paper and Twine Crafty Design, LLC: I thought this looked easy and very beautiful, so I had to share! I thought this looked easy and very beautiful, so I had to share! I found this on favecrafts.com. Looked pretty easy & inspirational! 1.Tear your tissues and papers into random sized pieces. Trim out any interesting shapes and images too. 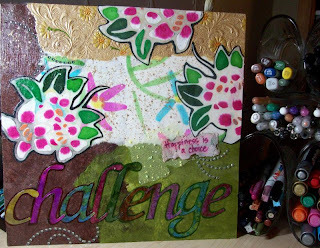 I like collaging with torn lightweight papers because they layer and blend together nice and smooth. 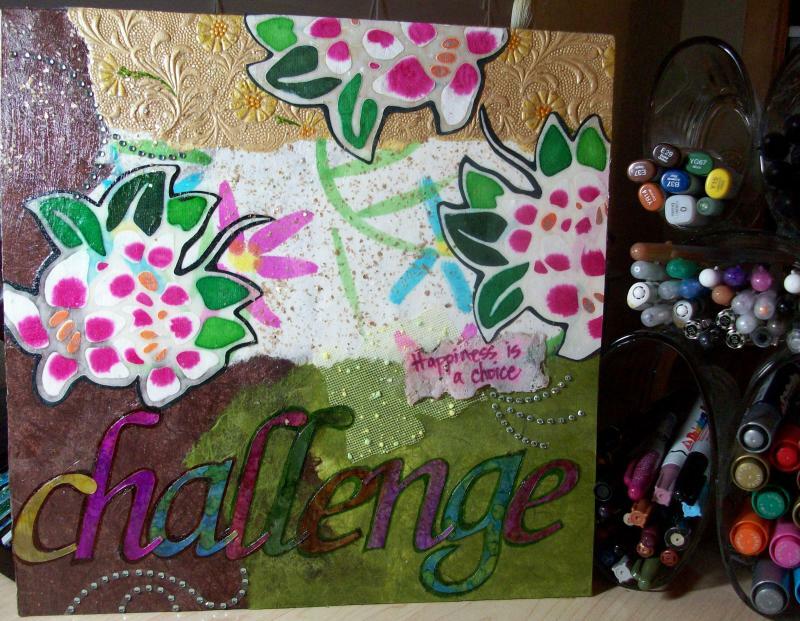 2.Choose an inspirational word and spell it out with die-cut letters. My letters were white plastic that I painted with alcohol inks. 3.Arrange your tissues, papers, images and letters however you like on your board BEFORE adhering them. 4.Move your arrangement aside carefully, and brush a thin coat of medium to your blank board. Do one small area at a time. 5.Apply the first piece of paper immediately on top and smooth it down slowly with your brayer. Place wax paper in between to prevent the tissue or paper from tearing and to keep the medium off your brayer. Roll the brayer from the middle of the paper outward toward the edges. 6.Continue with each piece of your arrangement until your board is covered. Allow pieces to hang off the edges of your board, then trim it flush to the edges later. Layer pieces on top of each other for different colors and transparent effects. 7.When the board is dry, gently brush a light layer of medium over the whole top. Start where you want to place your letters - use this coating of medium just like glue and press your letters into place. 8.While the medium is still wet, adhere other embellishments as desired, such as rhinestones, glitter, or mica flakes. 9.Trim the edges and display your inspiration board where you can see it all the time!